Hello people! Are you ready for the weekend? I so am! Sorry I didn't get to do my Facebook Live yesterday...for some strange, odd reason my webcam on my laptop decided to suddenly not work the day before. I spend an hour doing everything I could to get it to work, but to no avail, nothing. Then yesterday I had planned to do it again, but the other laptop I was going to use is just not fast enough to do a live. So today I have a new webcam coming and have high hopes of doing my live later today. On to better things.....here is my latest card. 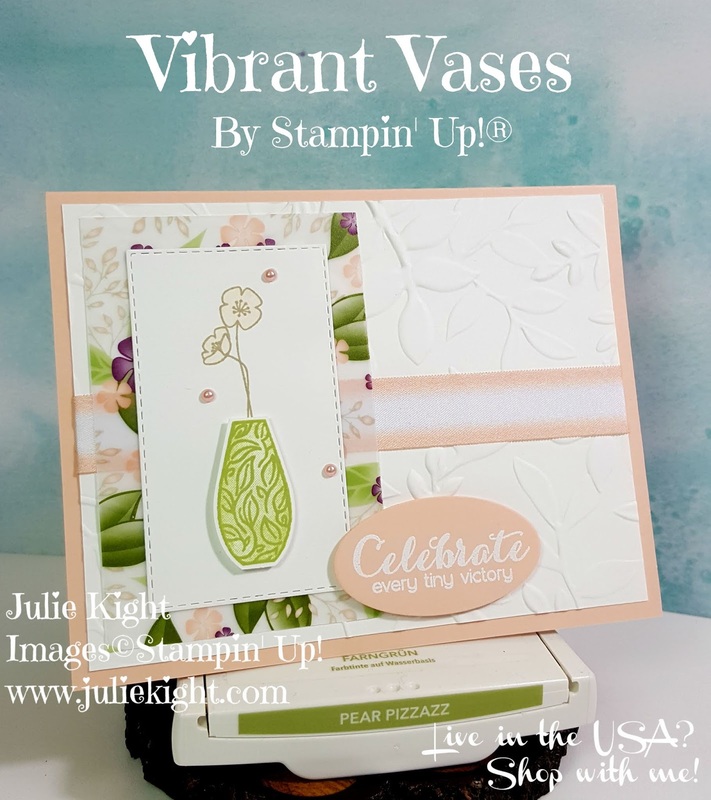 In the new Occasions catalog is this beautiful stamp set Vibrant Vases that matches perfectly with a stamp set in the Annual catalog called Varied Vases that also has a coordinating punch. 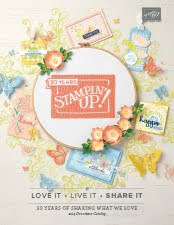 Both stamp sets were created by $1 million achievers. I'm in love with the fact that you can use them together to expand your possibilities. 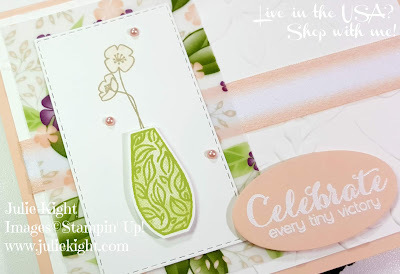 I used a piece of one of the vellum papers from the new Floral Romance DSP (Designer Series Paper). It is so beautiful and the colors just pop. 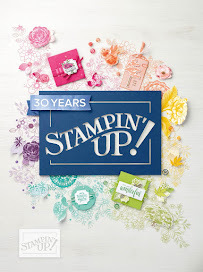 I did a second generation stamping technique which when you may have limited stamp pad colors extends these colors more. I first stamped the outline of the vase, then inked the filler stamp and stamped it off once on a scrap piece of paper then onto my outline. This allows some of the ink to come off first allowing a lighter color to be on your card. You could do this technique a few times giving you a lighter color each time expanding your ink pad colors. I also heat embossed the sentiment on the front. For the inside I just simply stamped one of the vases in the corner doing the same technique as I did with the vase on the front. 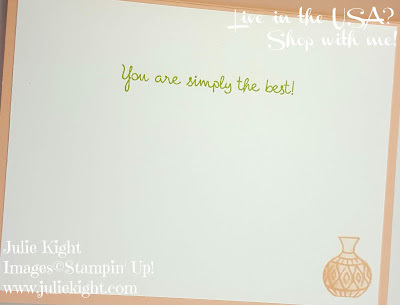 Then I just added my sentiment to keep the inside simple. Thanks so much for coming to my blog today I hope you enjoyed my card. If you have any questions contact me here. If you want to purchase any of the items I used on my card they are below, just click on any of the pictures.